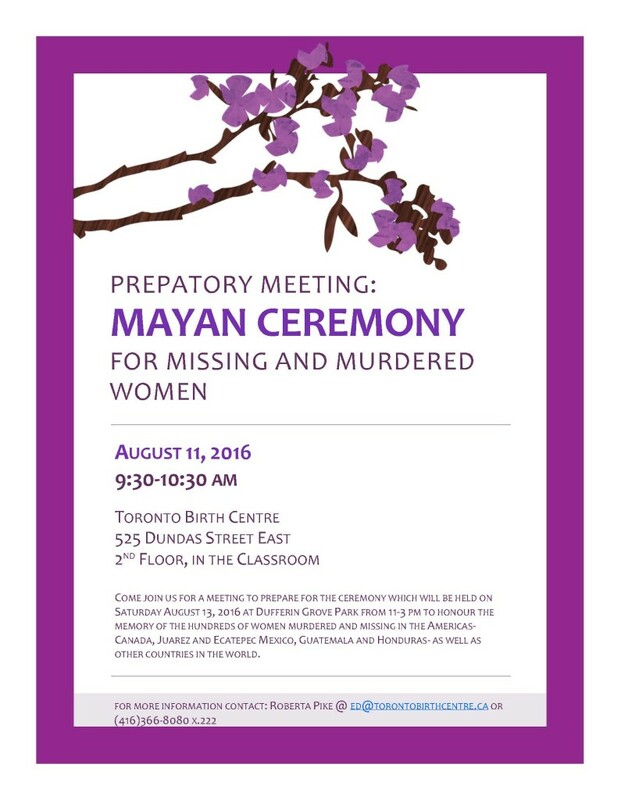 A special Mayan ceremony is being planned for August 13, 2016 to honour Missing and Murdered Women and their loved ones. 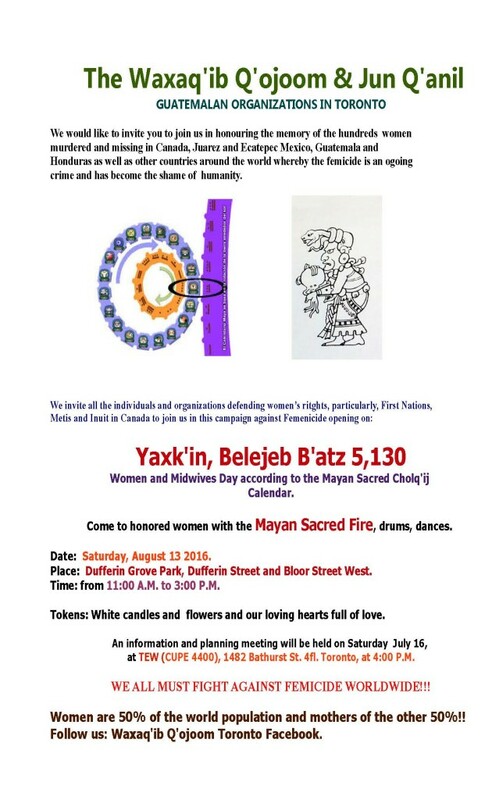 A special call out is being made to midwives to participate in this ceremony as the date is of special significance in the Mayan calendar for both women and midwives. TBC is partnering with Waxaq’ib Q’ojoom & Jun Q’anil to host a preparatory meeting for those who wish to learn more about the Mayan Calendar and the significance of the ceremony. Please share this message within your networks. Hope to see you at the events. Miigwetch!